Timeless elegance comes to the multi-purpose stroller with the all-new Bugaboo Donkey Classic+ Navy Blue. 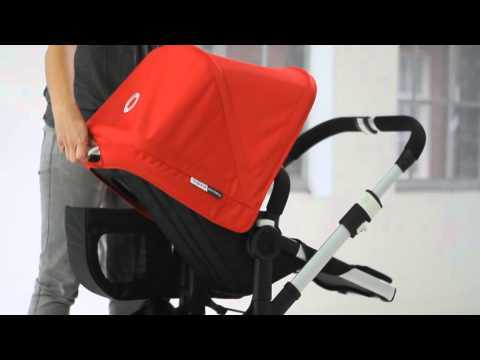 The Bugaboo Donkey is designed for parents who want to be ready for today and prepared for the future. Its easy-access side luggage basket plus expandable underseat storage give you enough space to carry everything you need, whatever your day brings. If you’ve got plans for a bigger family, the Bugaboo Donkey can transform into a side-by-side double stroller in just three simple clicks. The Bugaboo Donkey Classic+ comes with a navy-blue sun canopy, bassinet and seat fabric. A matching navy-blue side luggage basket, aluminum chassis and black hand-stitched leather-look handlebar and carrycot handle complete the look. * duo extension set sold separately.